Berry Boozy Ice Pops (popsicles) are the most refreshing way to cool off on a hot summer day. Berries, lime, cranberry juice and Moscato wine in a delicious adult frozen treat. Why do kids get all the fun? We have been very good and we deserve an adult treat too. Don’t you think?! Lets Get this Party Started! These special Berry Boozy Ice Pops cannot be found on the ice cream truck circling your neighborhood. Don’t bother getting yourself all out of breath trying to flag the ice cream truck down. We are sorry to report that they do not carry Berry Boozy Ice Pops on board. We have already checked. Do you call these popsicles, ice lollies, ice pops, Mr. Freezy's, Freezy Pops, Cool Pops, Icy's, or any term we do not yet know? We have no idea but we just call these Berry Boozy Ice Pops DELICIOUS! 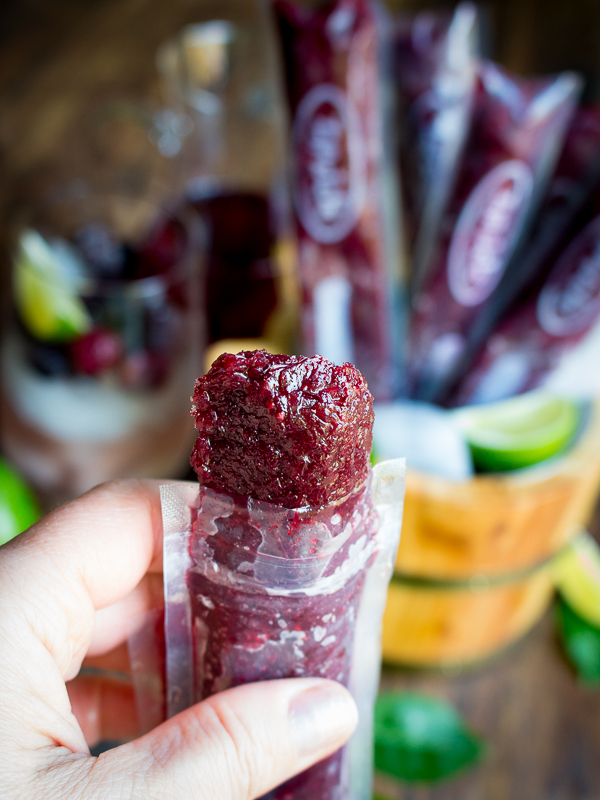 However, you can make these delicious Berry Boozy Ice Pops at home in 5 minutes’ flat, let them freeze overnight in your freezer and they are ready to enjoy. In your case, it will be only 5 minutes. In our case, we decided to originally use these useless popsicles moulds that do not seal shut. We spent half the afternoon unloading the freezer and cleaning up berry juice. Uggh! Therefore, we highly suggest using a proper ice lolly device. This is not a sponsored post but we wanted to let you know about a brand that we really like. 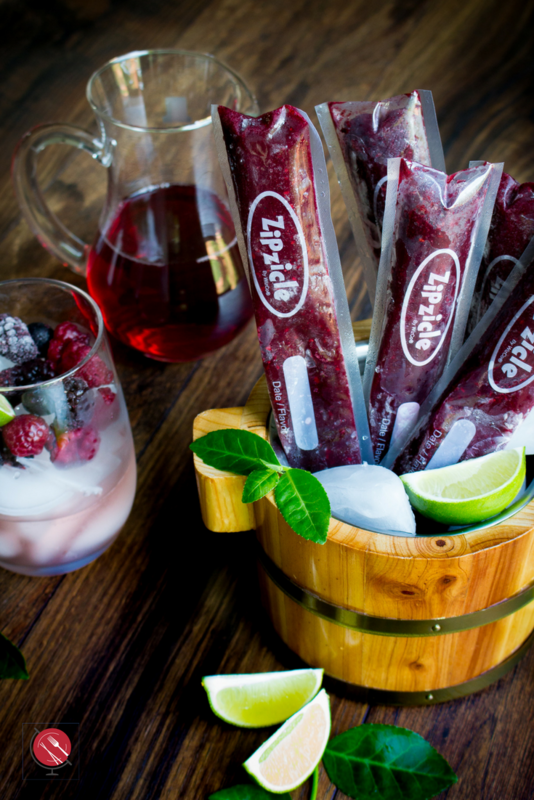 We have had loads of good luck with these Zipzicles popsicle baggies. They seal good. They open easy and they work perfectly every time. 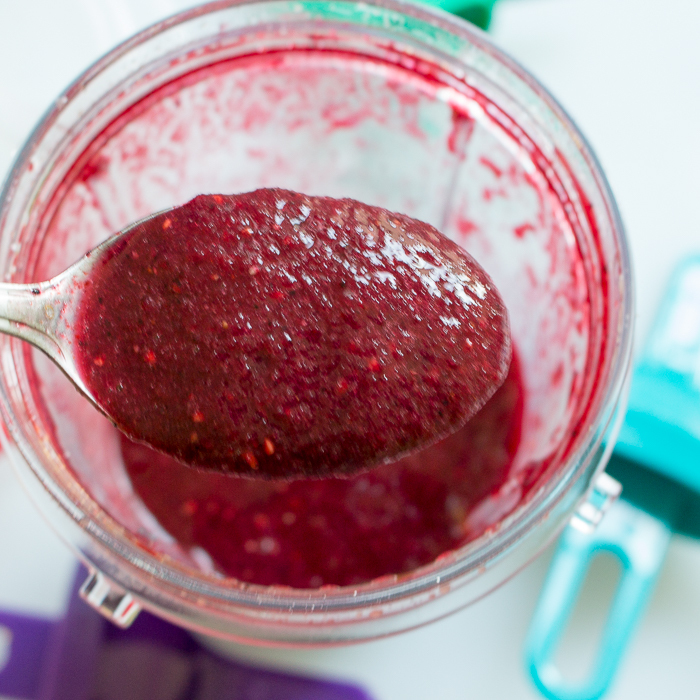 In addition, if you are making Berry Boozy Ice Pops for an outdoor party or gathering, they are super easy cleanup. No messy clean up. 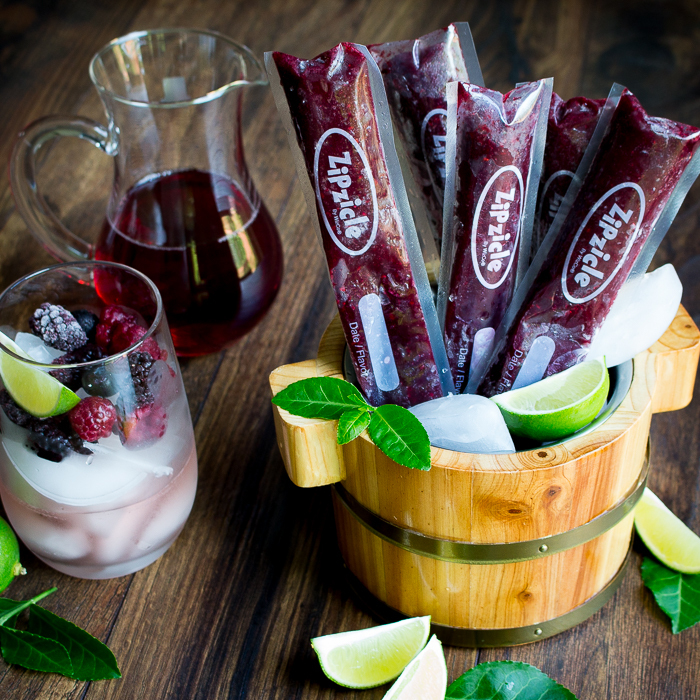 You are just going to love these Berry Boozy Ice Pops as they are super refreshing and mostly filled with berries, juice and a splash of wine. 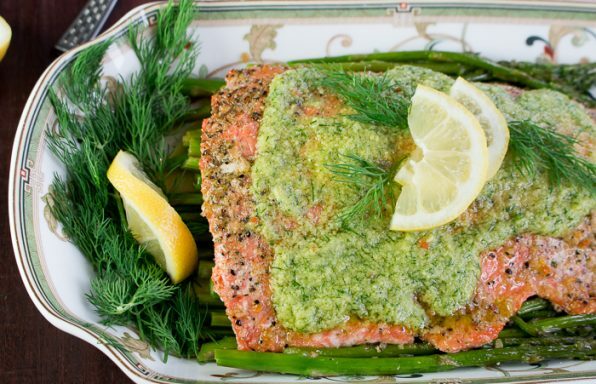 The addition of Moscato wine gives a depth of flavor. Moscato wine is from Italy. 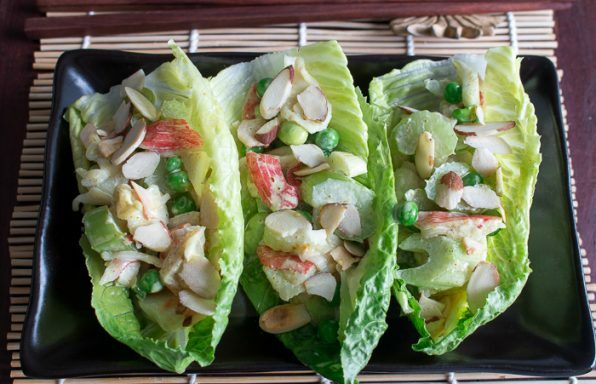 Moscato is made with Muscat grapes and is very sweet, light, slight fizz and lower in alcohol level. 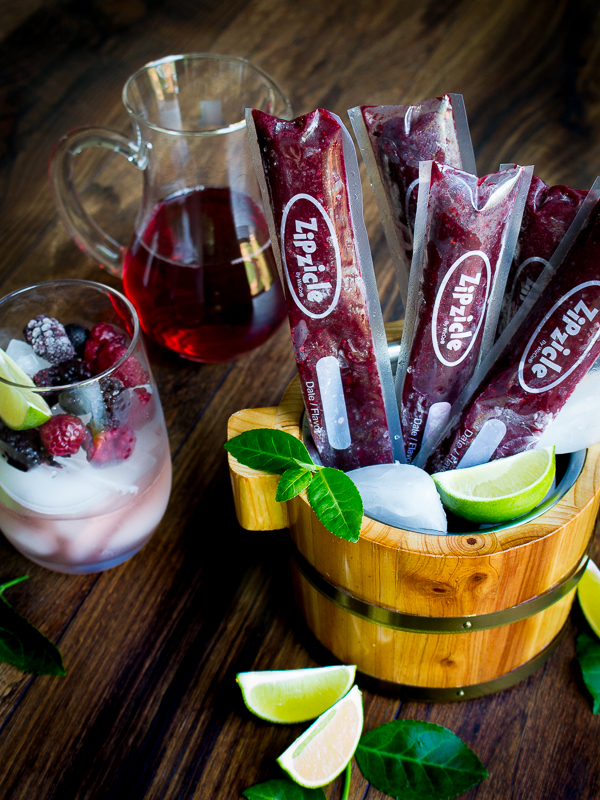 This wine makes the perfect Berry Boozy Ice Pops! 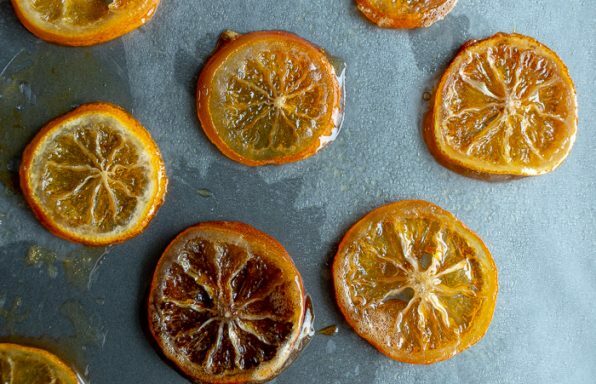 Be sure to check out our Summertime Non-Alcoholic Fruity Drink Recipes , Honey Cardamom Cantaloupe Sorbet and No Churn Dairy Free Mango Swirl Ice Cream for more refreshing Summertime Treats. Moscato is much lower in alcohol and there is only a splash in each Berry Boozy Ice Pops. If you add too much alcohol to your ice pops, they will not freeze. Even though these popsicles have less alcohol, we did struggle deeply with a potential moral issue. 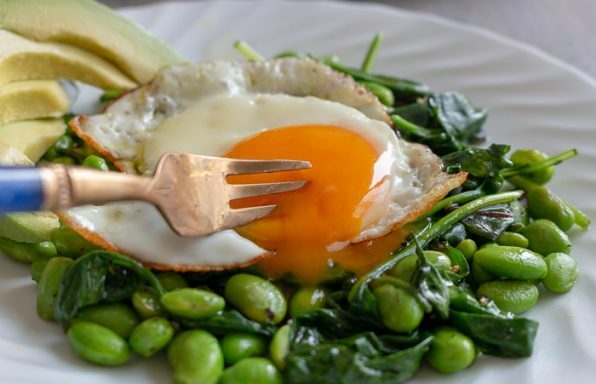 As all our professional foodie photographers out there know, you must work with natural light when it is at peak, for food photography. You see the area that we were shooting these photos for perfect lighting was about 9:30am on a Tuesday. Do you see our dilemma? What is a girl supposed to do with a Berry Boozy Ice Pops that you had to show for the bite shot in the early morning hour of 0930? You can’t just put it back in the freezer with a portion missing from the popsicle? Why golly gee, it must be 12 noon somewhere was our motto. Around 10am, that first tasty Berry Boozy Ice Pop went down so fast, we went back for a second. 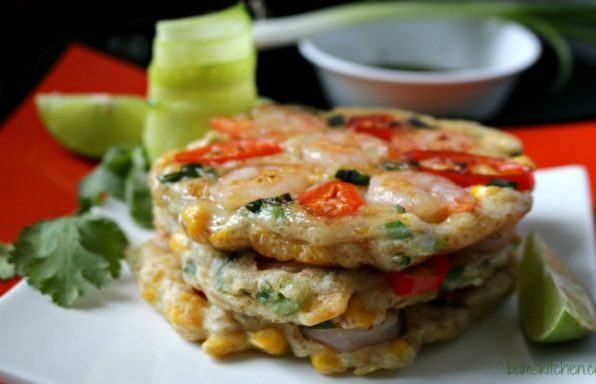 Quality Assurance Taste Testing – COMPLETE! 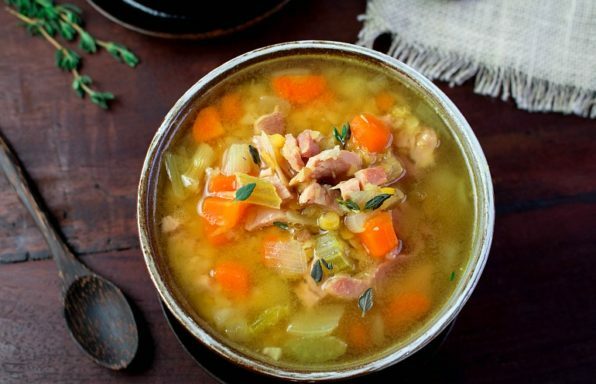 We know that are many summer holidays, weddings, showers, and gatherings coming your way. 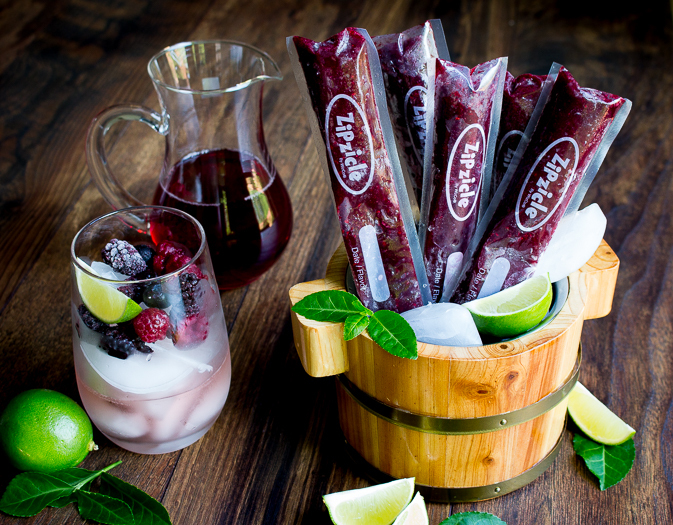 Be the host or the hostess with the mostess and serve these delicious Berry Boozy Ice Pops. 1In a blender mix frozen berries, cranberry juice, moscato wine, lime juice and if needed a little sweetener of choice and blend until smooth. 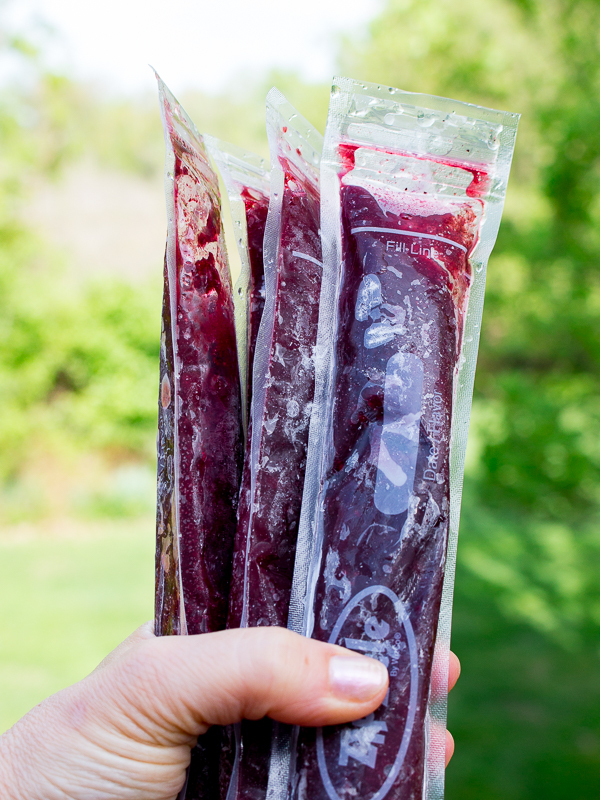 2Use a small funnel and pour the Berry Boozy mix up to the line in the ice popsicle bags. (makes about 6 Zipzicle bags) or (4 standard popsicle moulds) Seal popsicle bags or place lids on your popsicle containers and freeze overnight.